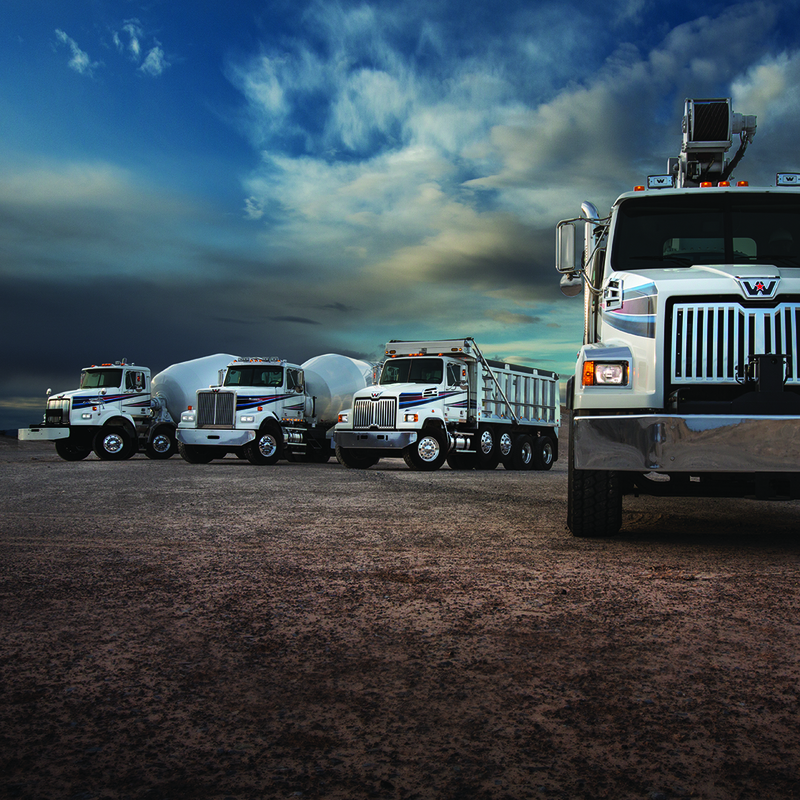 Western Star is the heavy-duty brand of the Daimler Trucks North America family. Our focus is on creating purpose-built products for small and medium fleets, as well as owner-operators, in the vocational and extreme-duty segments. We started back in 1967, engineering rugged heavy-duty trucks designed to stand up to the demands of logging and oilfield work. Since then, we’ve built on that heritage of toughness, combining it with DTNA’s expertise in technology and innovation to create some of the industry’s most durable and dependable Class 8 trucks. We’ve recently expanded our line, giving us a complete range of trucks from the versatile, entry-level 4700 to the 5700XE extreme efficiency highway truck. Some of the features that make Western Star® trucks unique are severe-duty cabs, lightweight sleepers and fuel-efficient Detroit™ powertrain options. In fact, we offer thousands of options that allow customers to create trucks built specifically for their applications. Whether they’re in the middle of North America or the middle of the Australian Outback, Western Star trucks can be counted on to perform. All of our trucks are proudly built in both in Portland, Oregon and Cleveland, North Carolina. Western Star Trucks Sales, Inc. is a subsidiary of Daimler Trucks North America LLC, a Daimler company. Western Star entered the fuel-efficient truck category in the first quarter of 2015, and did it in a big way. The 5700XE features one-of-a-kind looks, coupled with a fuel-efficient powertrain that makes it the truck to have. It features all the new safety features companies are looking for, such as collision avoidance, lane departure and electronic stability control – as well as the quiet interior along with real-wood appointments drivers want. Its sharp edges, smooth ride and high efficiency have already made it a big success in many fleets across North America. Since its introduction in 2012, the 4700 has established itself as the go-to truck or tractor in various segments including municipalities, agriculture, construction and LTL highway hauling. Its good looks, sharp turning radius and sloped hood are just a few features customers love, while the point-to-point wiring, the electrical raceway and the single 3.2M RBM frame rail make it the perfect choice for bodybuilders. It’s been so successful that it’s grown to over 50% of the Western Star production mix. There’s not much the 4900 can’t do. Truck or tractor, it’s built to last forever, whether it’s working the rugged oilfield of the Yukon Peninsula or is hauling freight across the country. For off-road applications, the 4900 can be spec’d as a twin steer or an all-wheel drive. And when it comes to owner-operators, it delivers the traditional long nose look they simply can’t resist. If there was one truck that summed up the heritage of Western Star, this is it. Extreme is the only word to describe the Western Star 6900. It’s built tough, with the components to survive in the most challenging environments. And it’s strong. As a tractor, it can pull massive loads of more than 500,000 pounds. Put a body on it and it can move 80,000. It’s also versatile with factory twin-steer options and the ability to spec 6x4, 6x6, 8x4, 8x8 and 10x6 drivetrains. That means it can get the biggest jobs done, no matter where those jobs are. Which is what owning a Western Star is all about.